Thanksgiving is undoubtedly my favorite holiday. Im sitting on the couch watching football with my son and wife, while the smell of BBQed turkey wafts around the house!! Life is good and I certainly have a ton to be thankful for, with my family at the top of the list. I'm also very thankful for all of the wonderful folks that have come fishing with me. You all make this dream of mine come true and we've made some wonderful friendships and memories along the way. The fishing since my last post has been pretty typical of what we've seen so far this salmon season. We had a huge water rise on Saturday and I canceled the trip due to very marginal conditions. On Sunday, I was on the lower Smith in my powerboat and had one of the unluckiest days of fishing I've ever had. The fishing itself was very good, with lots of rod folding bites, but for one reason or another, we couldn't keep ahold of them. We did end up putting a few in the net, but the day had the potential to be epic. Luck, as it was, turned around for me the next day. On the Smith, we landed on an huge pile of fish and really put the wood to 'em. Listening to others reports, we had quite a day as it seemed like most other boats struggled to hook a fish or two. On Tuesday, the fishing came to Earth for me a bit, as we had 3 bites and put two nice fish in the bag. I took Wednesday through Friday off to be with my Family for the holiday, and I'll be back at it on Saturday. If anyone is interested in some late season Salmon action, I had a cancellation for December 2nd and the 3rd remains open. 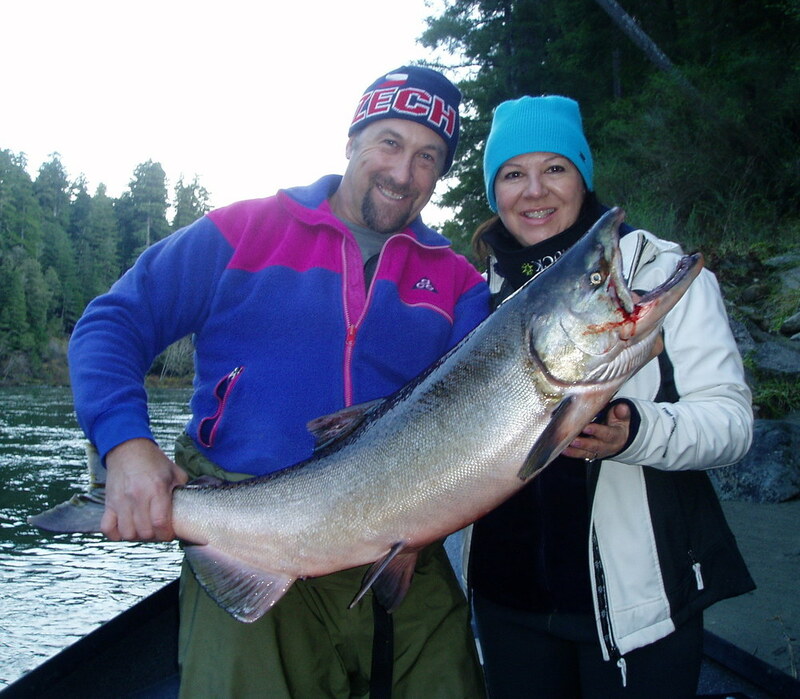 I expect there to be some early steelhead to enter into the mix as salmon season winds down.